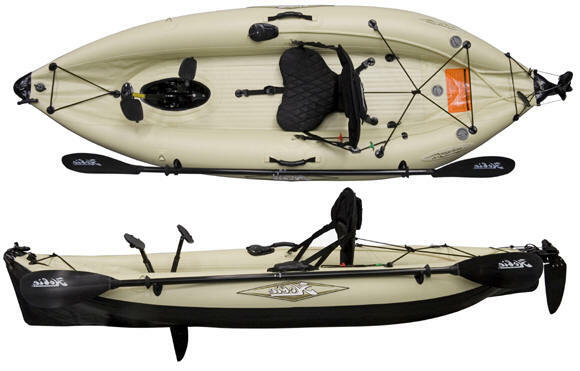 Presenting the all new i-Seriescombining the Hobie MirageDriveTM within an innovative hullits patent pending design will redefine how the world views inflatable kayaks. This 9 foot single is perfect for those who are short on room and storage. It packs nicely within its own rolling travel bag, so it can fit in the trunk of your car, on your boat, in your RVyou can even take it on the plane for your next vacation. Optional accessories include; a Sail Package, Cup Holder, Rod/Accessory Holder and Plug-in Cart.